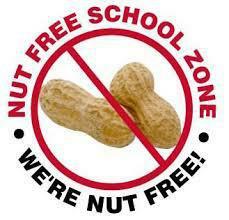 Just a reminder to parents that we are a “nut free” school because we have children who are allergic to nuts, which is a life threatening condition. We do not use nuts in any of our food prepared on site at school. Please can you help us to protect these children by being vigilant when providing your child with packed lunch and when bringing any foods such as snacks and birthday cakes.